Jutting out to sea, piers are always a great way to be closer to passing ocean fauna. When I took this shot while standing on the pier at Santa Cruz, it happened so fast I only saw the adult. 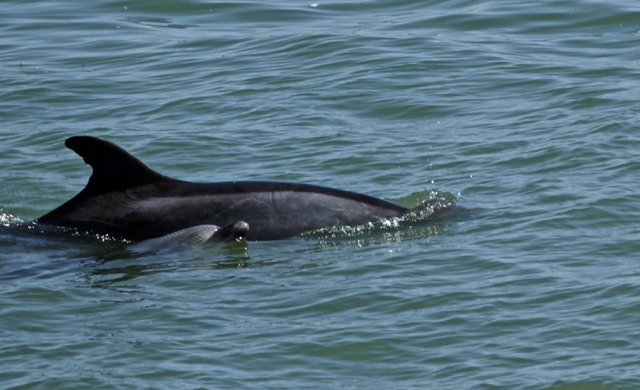 How delighted I was to find both Mama and Baby Porpoise rising above the waves. What a great shot, and so sweet, mama and baby.